grease to float to the top and the solids to settle to the bottom. 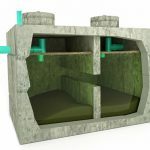 This simple system is very effective at removing FOG (fats, oils and grease) before they can reach the city sewer system. Island Pro Septic is a locally owned and operated vacuum truck services company based out of North Saanich and serving Greater Victoria. We specialize in pumping out grease tanks and grease interceptors for commercial enterprises. From a 100 gallon grease interceptor to a 1500 gallon grease interceptor we offer fast, friendly service. There are over 1200 businesses in the CRD that identify as food services operations that discharge wastewater containing oil and grease. Since 2003 properly sized grease traps have been mandatory in all commercial kitchens operating in the CRD. These facilities must install and maintain a grease trap/interceptor in accordance with local codes. If you own a busy restaurant or commercial food services facility within the CRD or Greater Victoria area you already know the importance of having your grease traps or grease interceptors pumped out as needed. Sinks used for washing pots, pans, dishes, cutlery and kitchen utensils, including pre-rinse sinks. 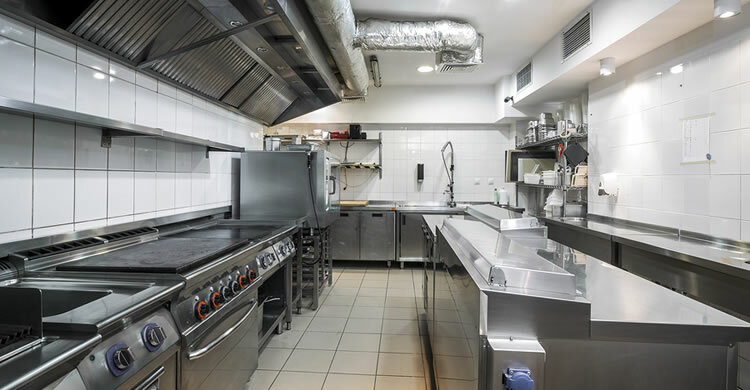 Self-cleaning exhaust hoods installed over commercial cooking equipment. Commercial cooking equipment, such as tilt kettles, designed to discharge to a sewer or drain. Any fixtures that discharge wastewater that contains FOG (fats, oils or grease). As an operator of a food services operation it is your responsibility to pump out your grease interceptor when the oil and grease inside is in excess of the lesser of six inches or 25% of the wetted height of the grease interceptor. A record of all grease interceptor inspection and maintenance activities must be kept for a period of two years and be available on site for inspection by a CRD officer. The size of your establishment, the size of your grease interceptor and the amount of FOG contaminated waste water you send down the drain will determine the frequency of your required pump outs. Waiting too long could result in clogs, foul odours, fines and other maintenance issues so it’s recommended that busy facilities have their grease interceptors pumped out and rinsed every 2-3 months. Your specific situation may vary. Island Pro Septic is a septic tank pumping and vacuum truck services company based out of North Saanich, on the Saanich Peninsula and serving all of Greater Victoria. We specialize in pumping out residential septic, commercial septic, marine and RV septic tanks and holding tanks. We offer prompt and efficient service that is competitively priced. If you’d like to receive a quote to pump out your grease trap or grease interceptor or for a regular maintenance program please give us a call (250) 415-8558 or fill out our contact form and we’ll get right back to you. 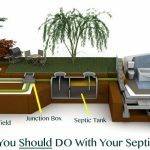 Septic System Information For Home Buyers In Victoria. 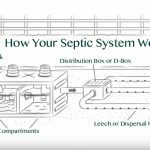 How Does Your Septic System Actually Work? Payment: Cash, Cheque, Debit, Visa, MC, AMEX. Island Pro Septic is a vacuum truck services company based out of North Saanich and serving all of Greater Victoria. 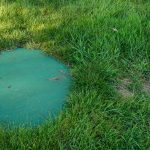 We specialize in septic tank pumping, holding tank pumping and grease trap pumping.